For anyone who has ever attended ISTE, you know that this conference is no joke. With thousands of attendees and hundreds of exhibitors, people from all over the world gather to enjoy the most cutting-edge educational technology. This year’s ISTE was no exception. Teachers and educators who attended enjoyed a front-view to the education world at its finest. In addition to the sessions being held throughout the conference, attendees stopped by the exhibit hall to visit all the different EdTech companies as they demonstrated their latest content. 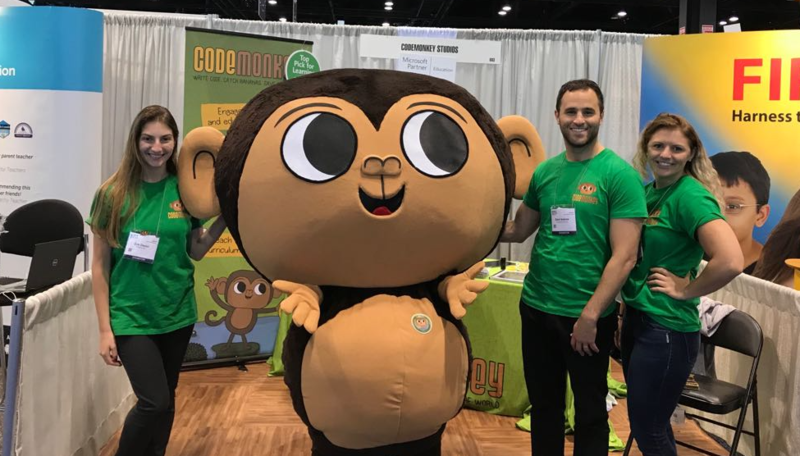 Among the hundreds of companies exhibiting, was CodeMonkey at booth number 683. 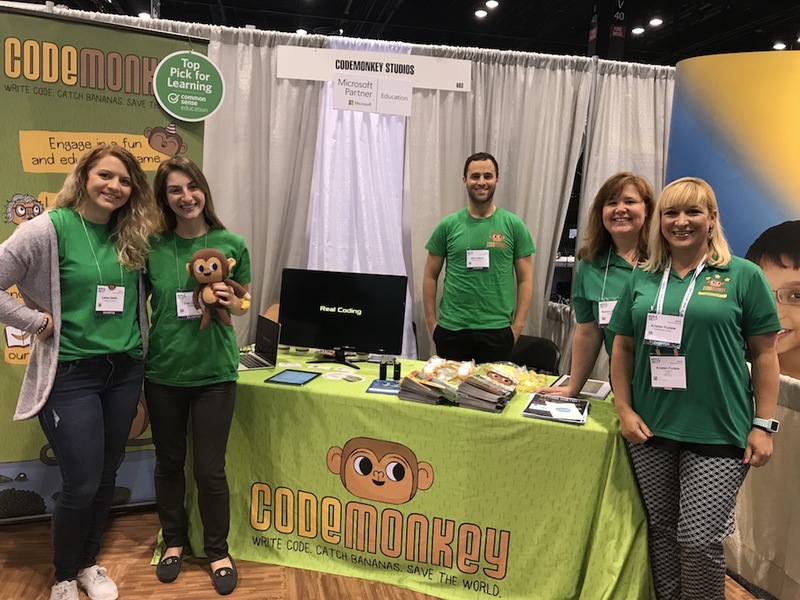 This year, CodeMonkey featured all new math and coding courses. This great new addition was CodeMonkey’s Dodo Does Math, a platform for 2nd-4th graders to practice math and code on while helping a dodo find her eggs. 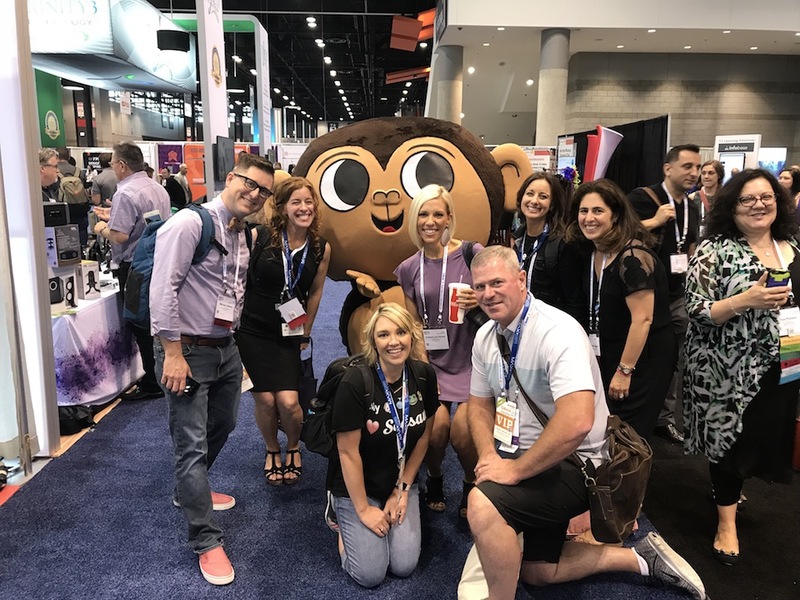 This year, CodeMonkey came to life with a mascot that roamed the exhibit halls throughout the three-day conference. With a 25-inch head, real-life CodeMonkey was a sight to be seen! Thanks to all who stopped by. Super excited to see you again at next year’s ISTE 2019 in Philadelphia. In the mean time, write code, catch bananas and save the world! My kids and friend’s kid want to play the Codemonkey’s game, and how much to pay for 3 kids ? How many time can we stay in the game and how many functions can we use? You can find our prices here. You can get a yearly subscription and will learn all the coding commands. For anymore questions, feel free to email us at info@cm-studios.com. Happy coding!